Get paid for the work you've done! File a Lien Application Here! You’ve done the work, but you still haven’t gotten paid. The frustration has come to a head, and now you’ve come to us to get the money you deserve. NYLiens LLC has years of experience filing mechanic’s liens throughout New York State. We have a simple process in place to help you file your mechanic’s lien, which is the first step on the road to getting your payment. Let us handle the complicated legal documents and filing. All you have to do is fill out our simple online form. From there, our experienced lien team will evaluate your case and work with you to get the payment you deserve. We believe everyone deserves to get paid for the work they do. Best of all? We don’t charge you unless your case is lienable. Most contractors and suppliers work on privately owned projects. You may file a Mechanic's Lien up to eight (8) months after the completion of the contract, or the final performance of the work, or the final furnishing of the materials, dating from the last item of work performed or materials furnished if the job was on a commercial project. If you work for public agencies or municipalities, such as the New York City Housing Authority, Dormitory Authority of the State of New York, etc., you may file a Mechanic's Lien if the contractor has not paid you for your work. A Mechanic's Lien on a private project expires one year after the notice of lien has been filed, unless within that one year, an action to foreclose the lien is commenced by you and a notice of the pendency of such action, is filed with the county clerk of the county in which the notice of lien is filed. If the contractor or owner pays you for the work, they will likely require that you file a Satisfaction of Mechanic's Lien. If the contractor or owner pays you for the work, the governmental agency or municipality will likely require that you file a Satisfaction of Mechanic's Lien. Within days of filing the lien, I received a phone call from the owner to discuss payment! NYLIENS filed my lien extremely fast, I barely had to do anything. Being the subcontractor of the job, I didn’t have a lot of the required information about the property. NYLIENS was able to find all the required information and get my lien filed. They make it VERY easy! We’ve filed over 10 liens with you and have received payments from over half of them already! I received payment and needed the lien release as soon as possible; NYLIENS had a prepared Satisfaction of Lien sent to me within hours. NYLIENS was a pleasure to work with, I will definitely use them again and recommend them to anyone who hasn’t been paid for work they’ve done. 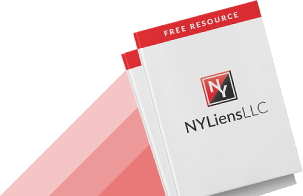 NY Liens has made it easy to file a Mechanic’s Lien. Simply fill out the form below and we will evaluate your case. If we need additional information, we will reach out to you. Remember, we don’t charge unless it’s lienable!